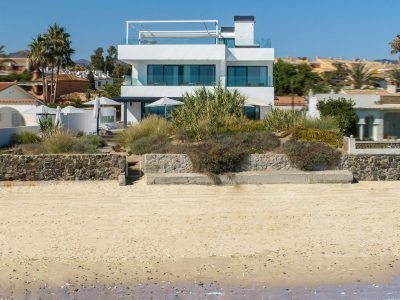 Villa Sanchez is a spectacular frontline beach property surrounded by golden sand and natural dunes. 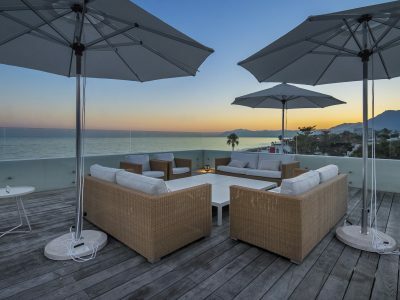 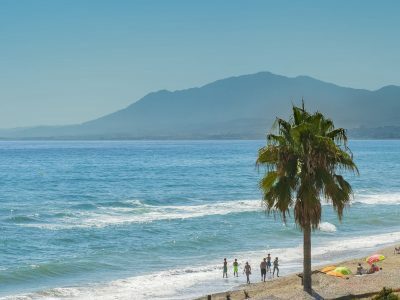 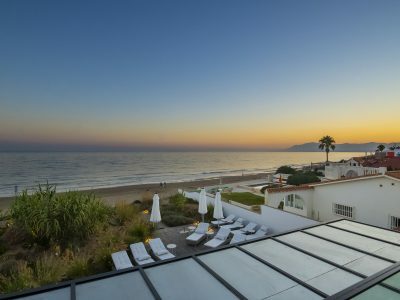 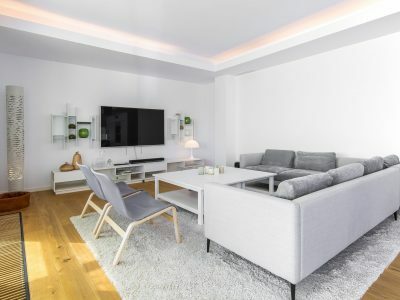 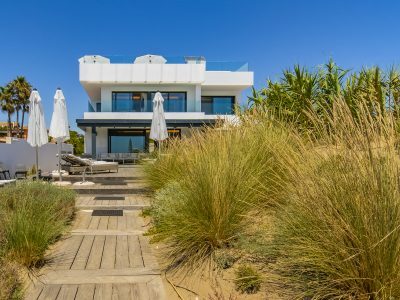 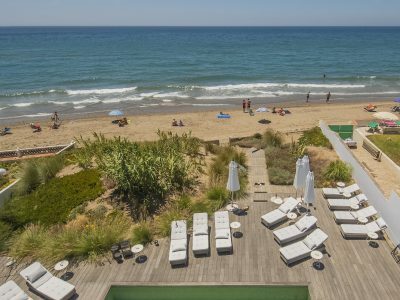 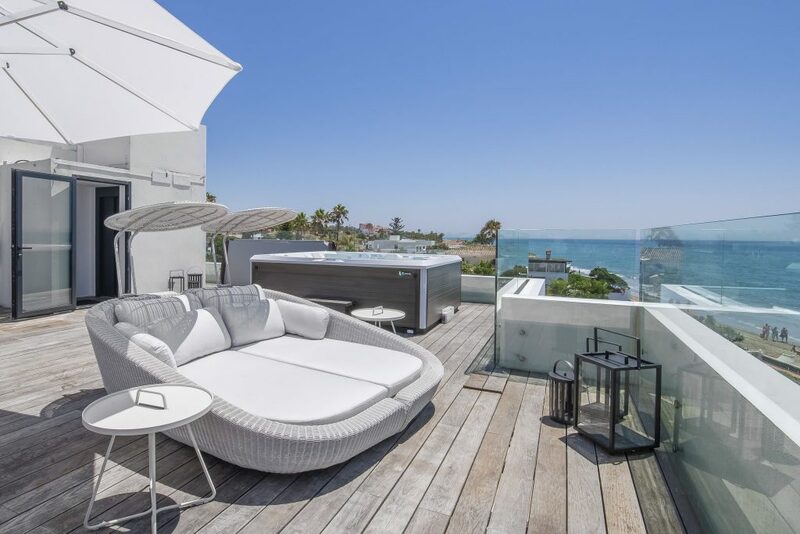 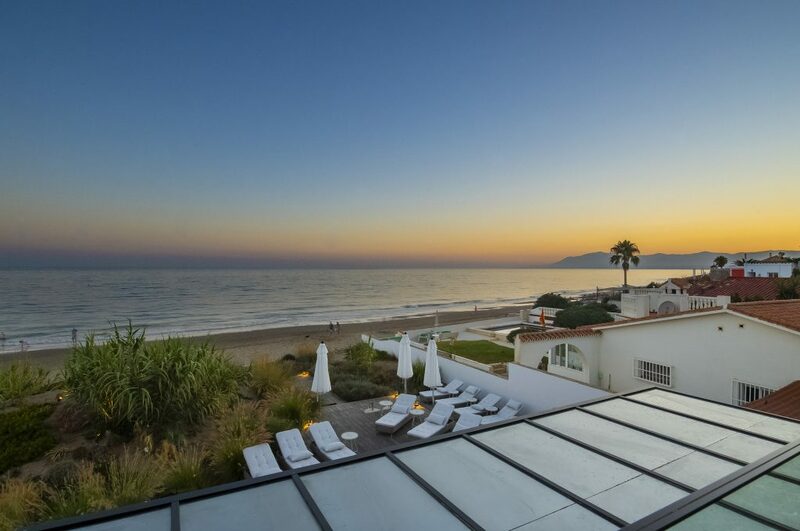 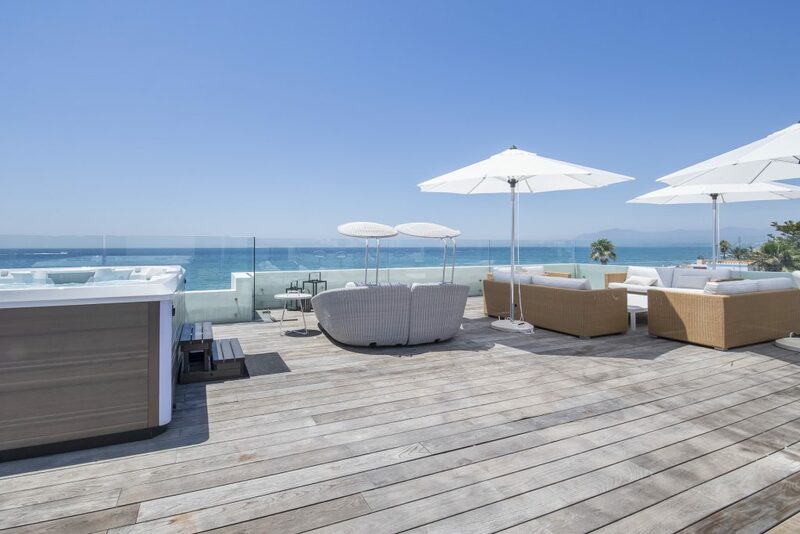 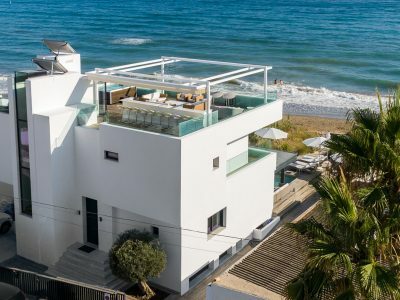 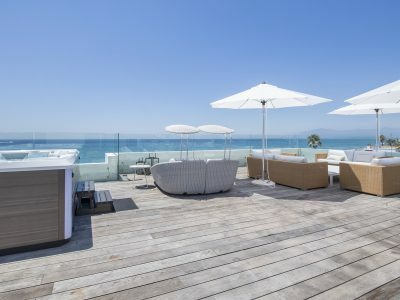 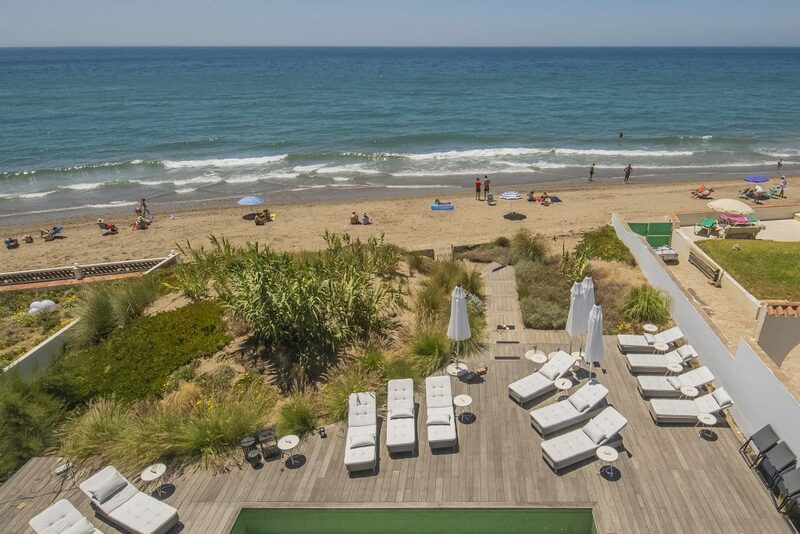 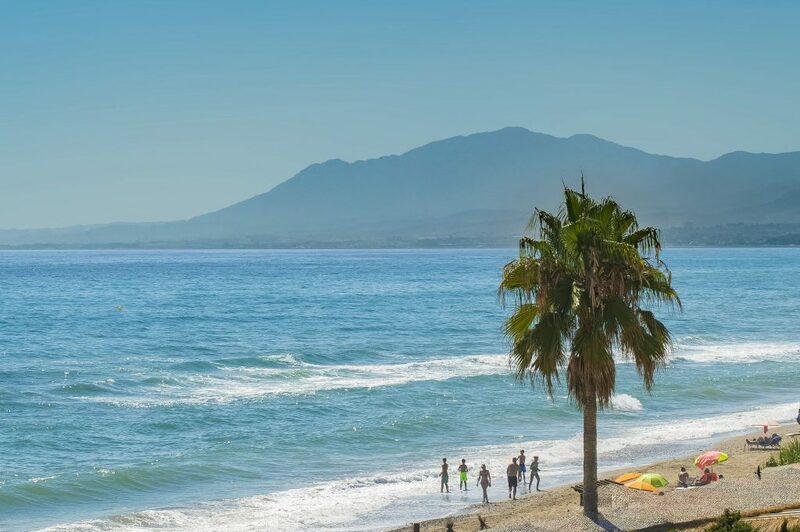 The location, on the east side of Marbella, boasts the best beaches in the area and is a mere 10-15 minutes drive to Marbella and Puerto Banus. 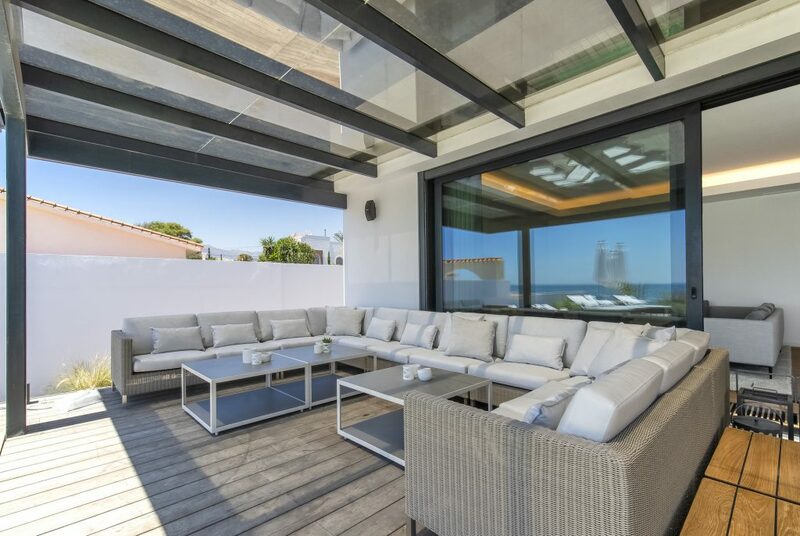 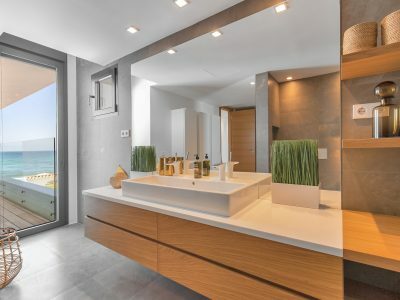 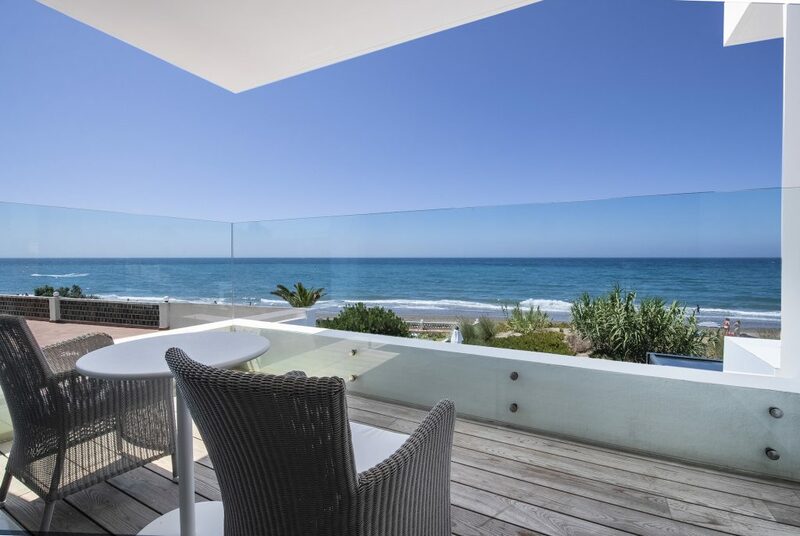 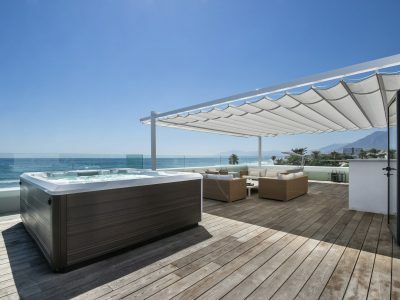 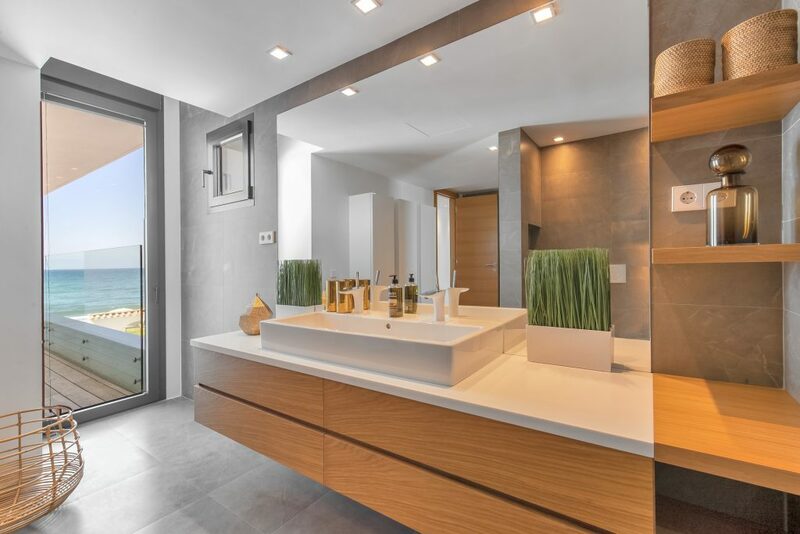 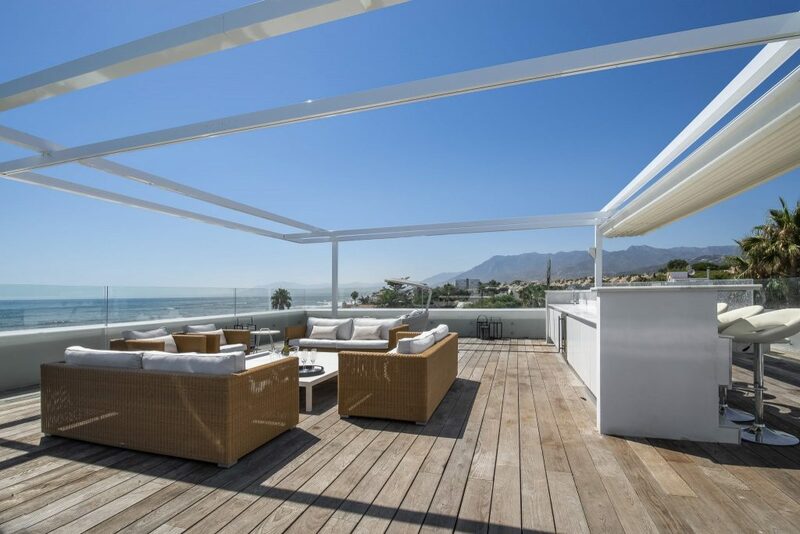 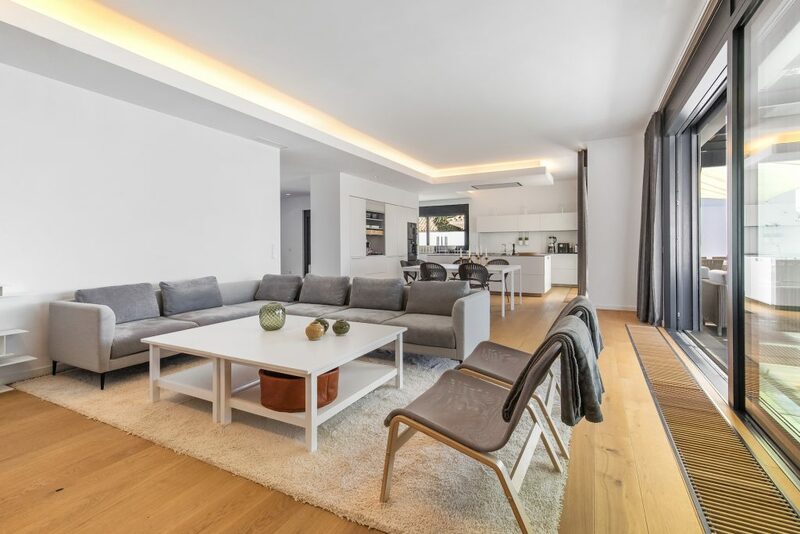 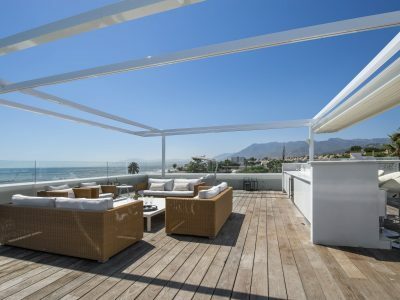 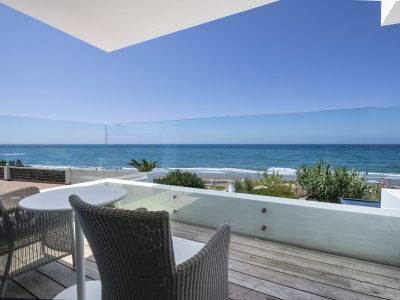 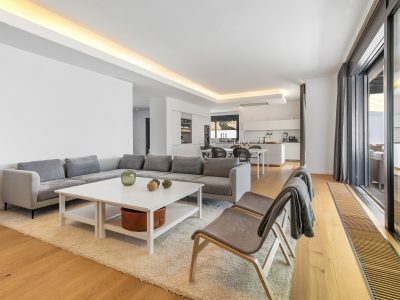 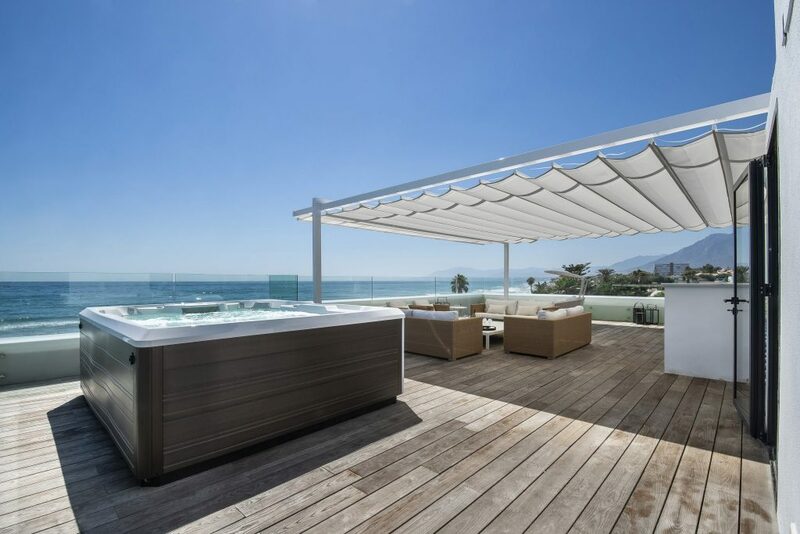 The property is newly-built to the highest standards, designed by top Marbella architect Jose Carlos Moya. Facing to the south west, the property enjoys superb sea views and magnificent sunsets. 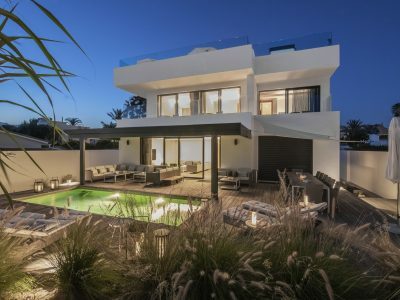 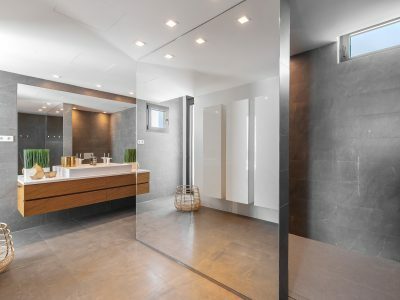 The use of wood, glass, stone and concrete has created an outstanding modern family home. 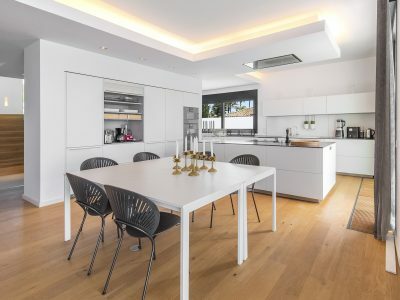 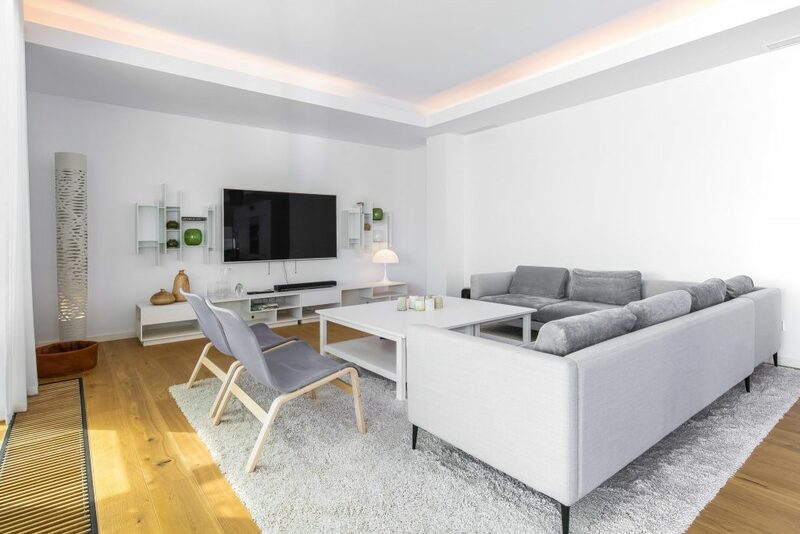 The front door opens into the double-height spacious entrance hall, leading to an extensive living room (16 person) with dining area and large open-plan kitchen, fully equipped with the latest in modern appliances. 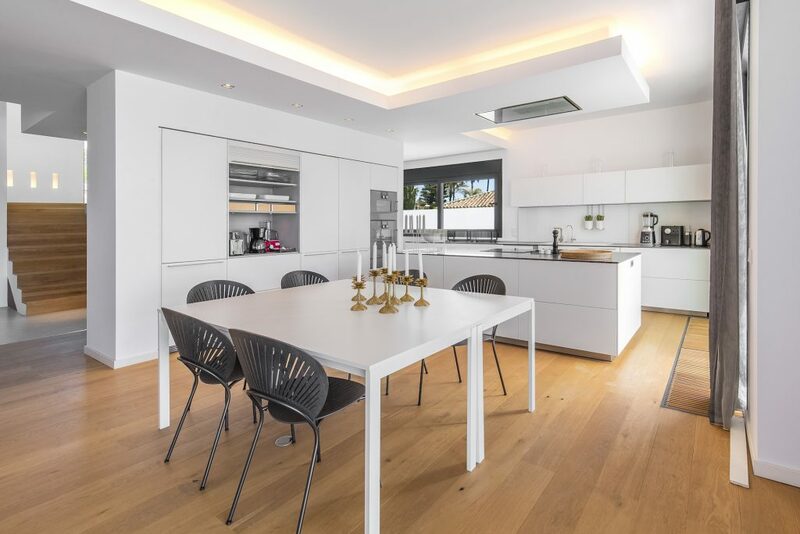 The kitchen leads on to a small hallway with separate side door to the driveway. 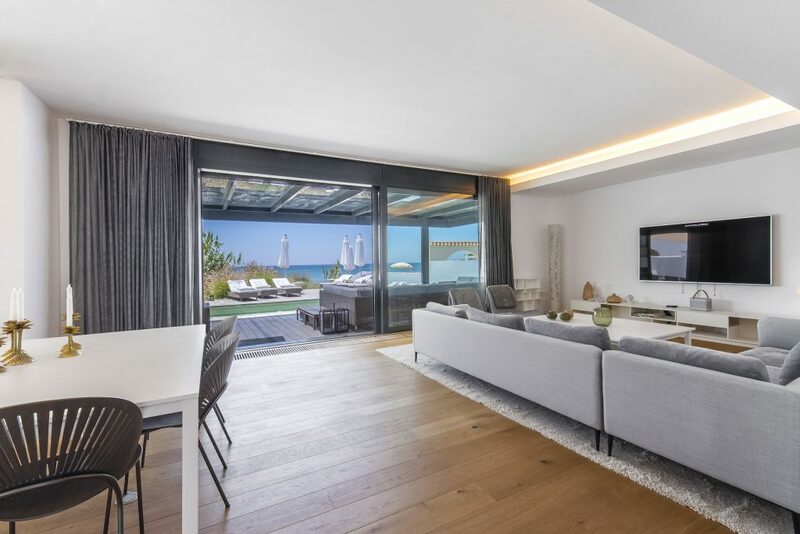 On the beach side, from both the kitchen and the living room, big sliding doors with electric security blinds open up to a decked terrace and the heated swimming pool. 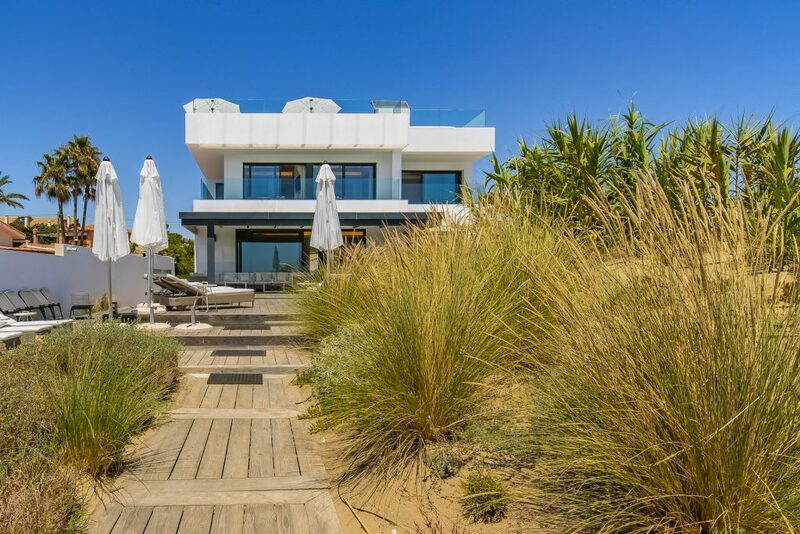 A path from the pool area leads through the sand dunes directly to the beach. 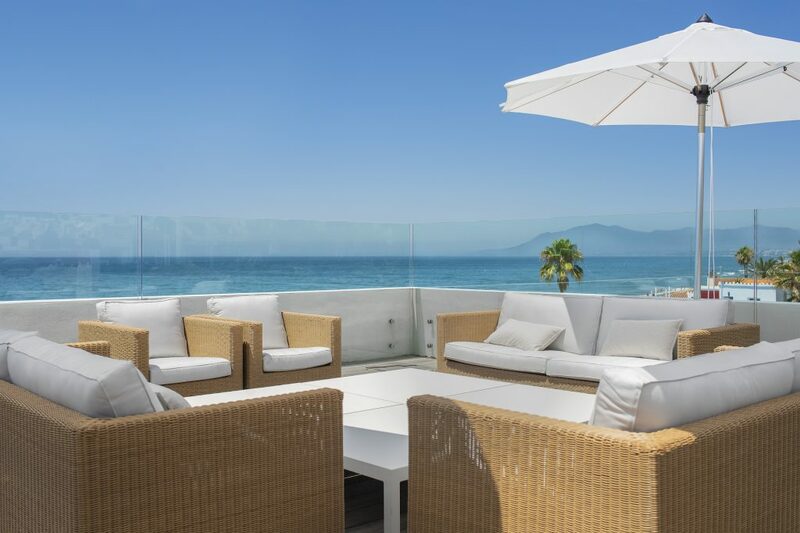 The beautifully landscaped private dune is offering complete privacy to the relaxing and dining areas on the terrace. 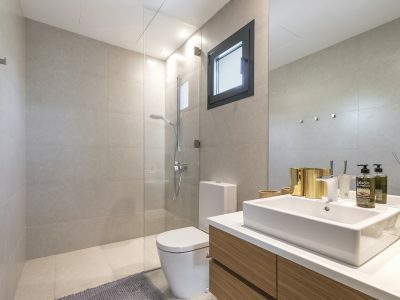 On the entrance level there is also a guest bedroom with fitted and walk-in wardrobe, and a bathroom with shower, toilet, and basin. 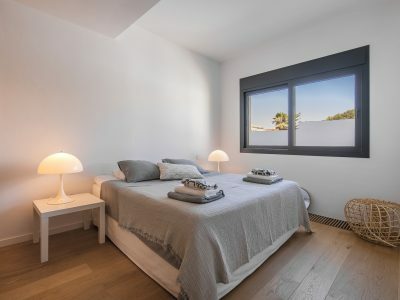 Upstairs, on the first floor, there is the master bedroom, with two sets of wardrobes, and master bathroom with shower, wide double basin, toilet, and access to the terrace. 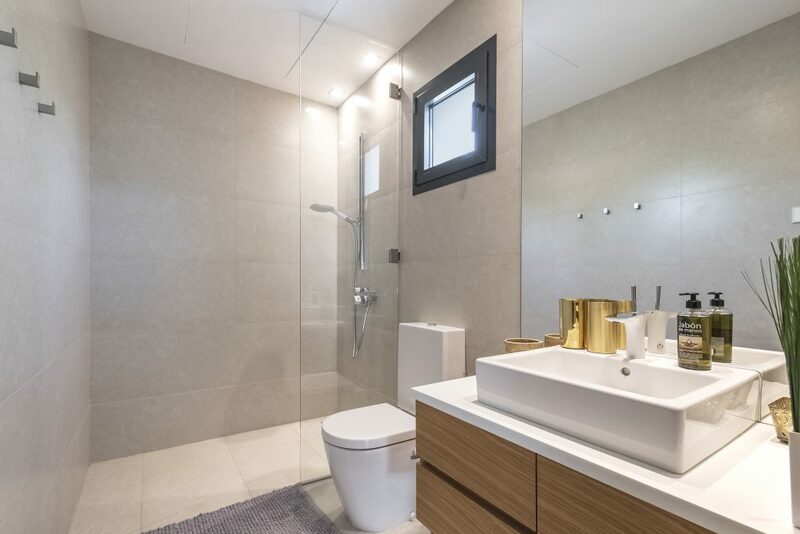 There are further two bedrooms and one shared bathroom with shower, toilet and basin. 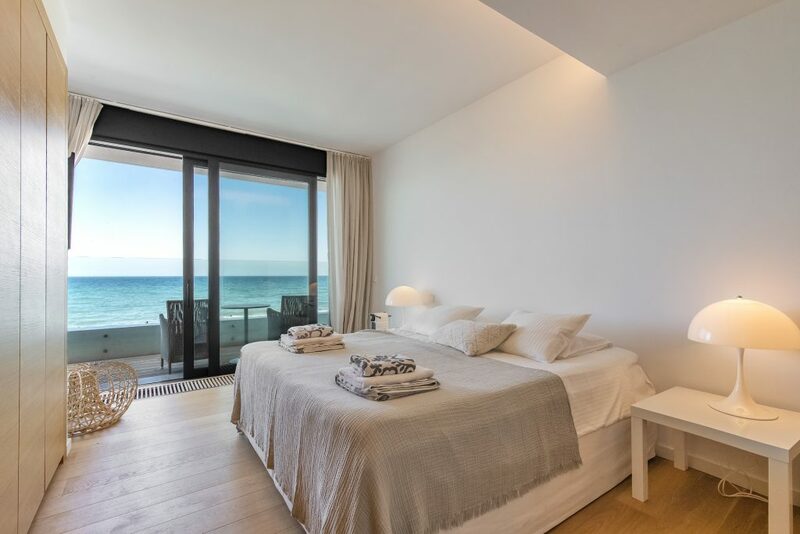 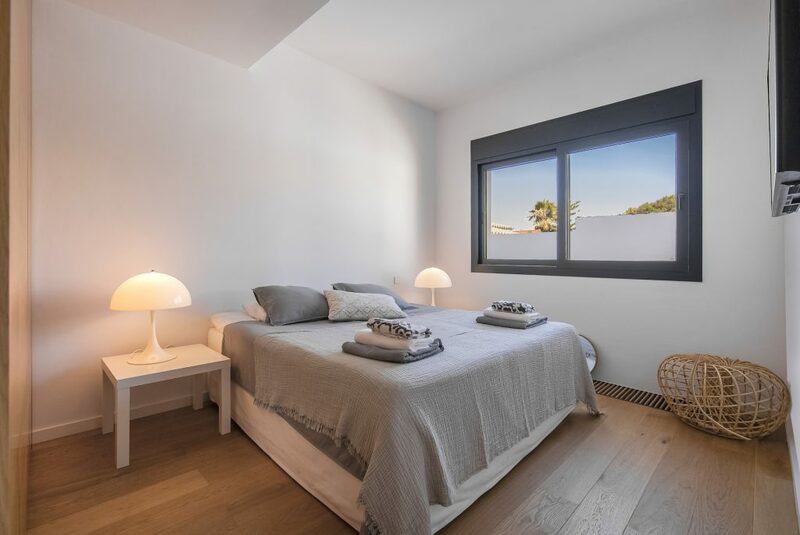 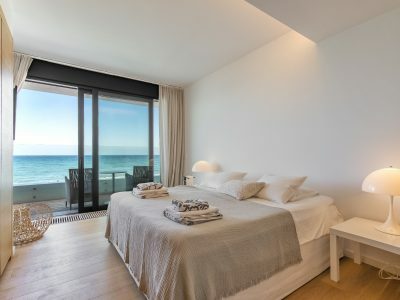 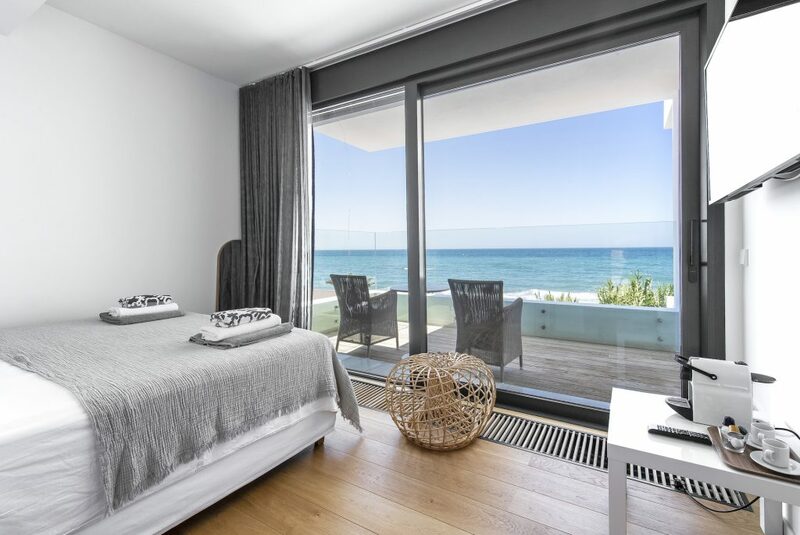 Each of these bedrooms has direct access to the terrace facing the sea and offering amazing views to the beach. 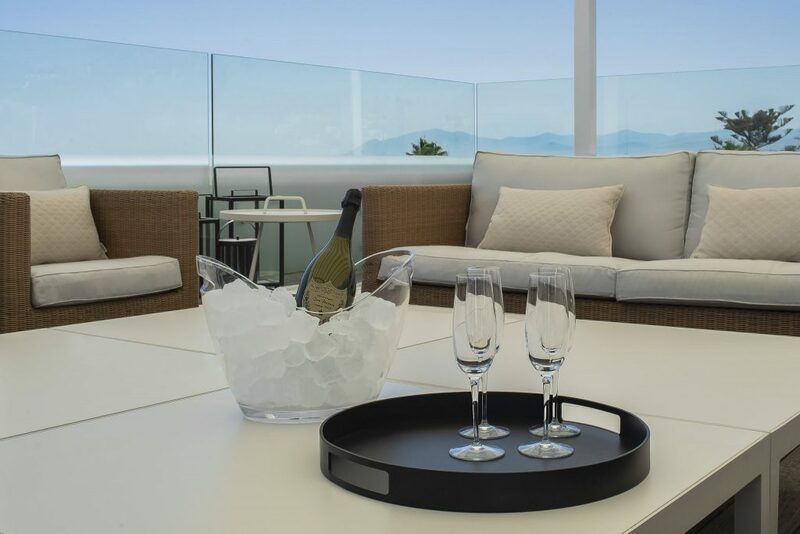 On the rooftop, there is a fabulous 150m open roof terrace with stunning 360 degree sea and mountain views. 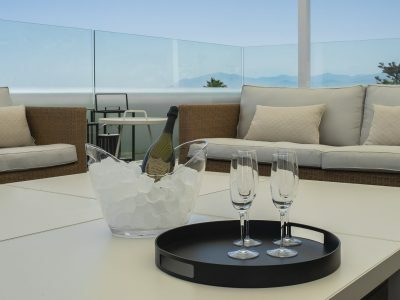 The terrace has a 8 person Jacuzzi, outdoor bar and big lounge area. 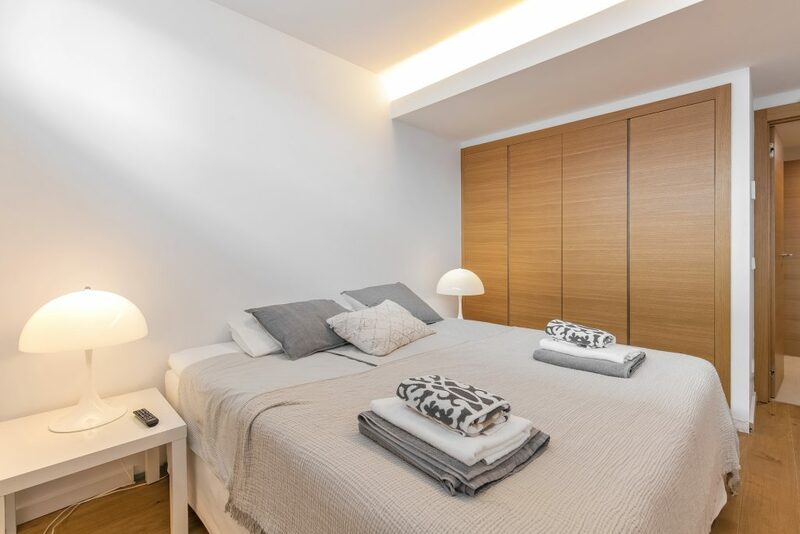 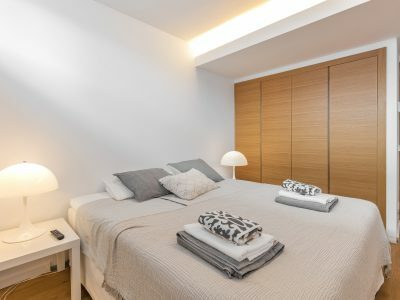 On the lower floor level, there are two further double bedrooms with natural light, fitted wardrobes, a bathroom with basin, shower and toilet. 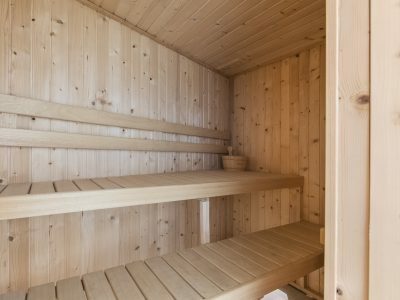 The lower level also features a SPA with Jacuzzi bath, steam bath, sauna and showers; storage rooms and utility room. 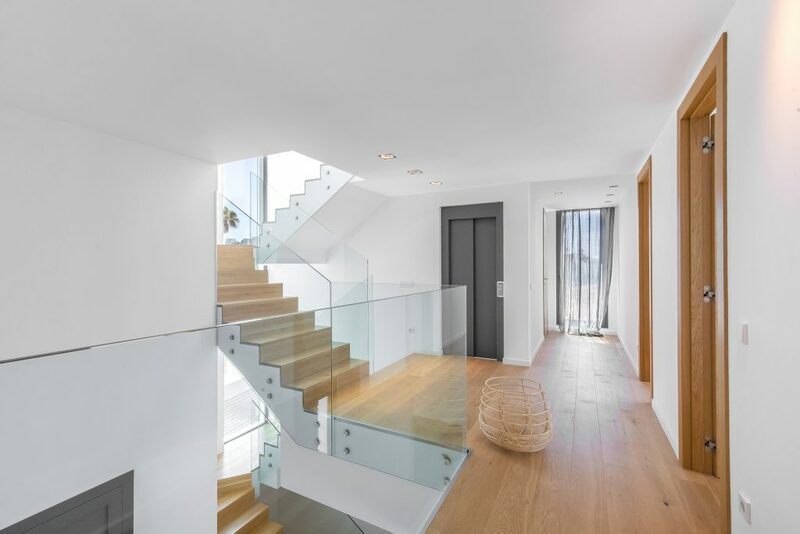 Each floor is served by the elevator and oak staircase with glass railings. 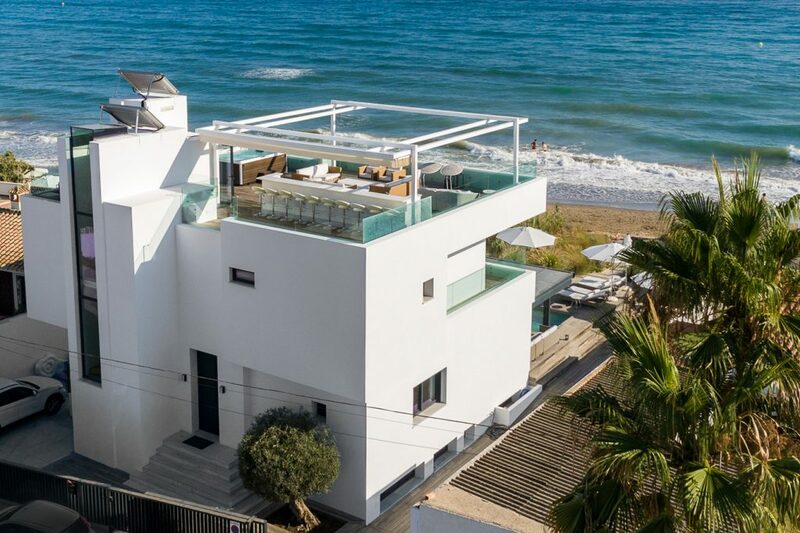 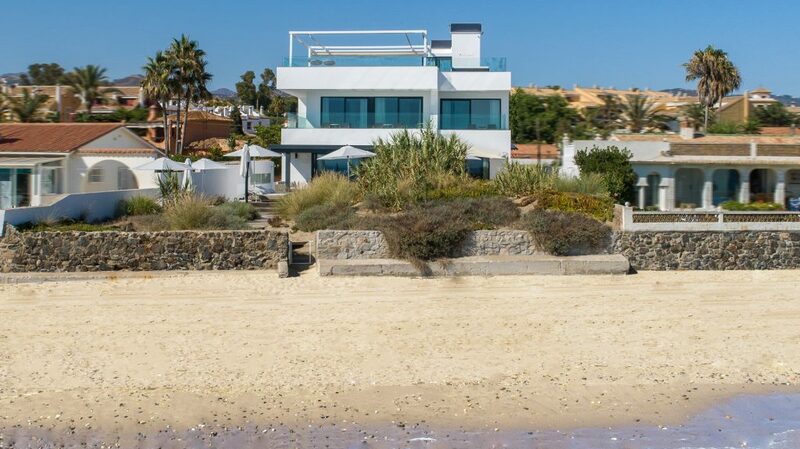 Villa Sanchez is a stunning modern beachfront villa in a privileged location. 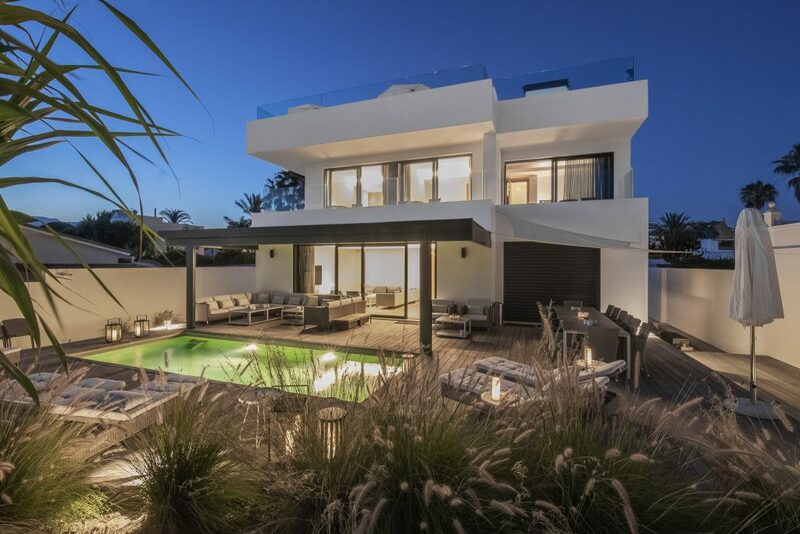 This villa is covered by our unique 24/7 concierge service.